I love the sending a text idea!! I’m with you. We should be building each other up!! 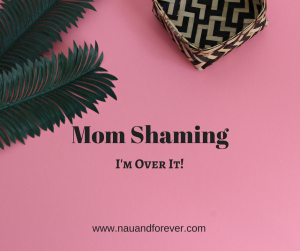 Unfortunately, there are always going to be moms that feel better for shaming others. They were probably the same ‘mean girls’ from childhood! 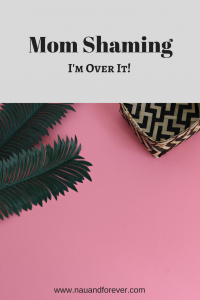 All we can do is be supportive to fellow moms who support us. I love the idea of sending a letter or text telling another mom that they are doing a great job! Yes! Thank you for this! It is the worst! We’re all just trying our best to be our best and raise our best and people can be so cruel!